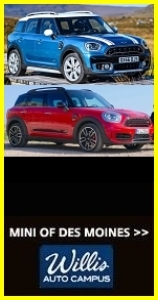 The good folks at MINI of Des Moines (MoDM), located at the Willis Auto Campus, are hosting their inaugural MINI of Des Moines Detail Day on Saturday, March 1st. The event will run from 9:00 am until 1:00 pm. All MINI owners are being welcomed to use their facilities to get rid of the winter grime from your MINIs! All you need to bring is your MINI and your appetite. MoDM will be providing detailing supplies, music, food, and fun. 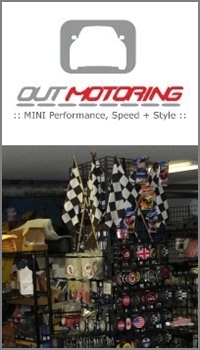 Our MINIs will be taking over the indoor MINI service area so weather will not be a factor. A photo shoot is being planned for the conclusion of the event (after all participants are finished detailing and well fed). 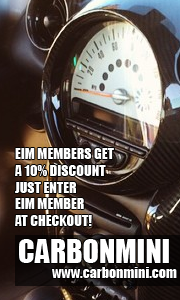 I hope many of you are able to take advantage of this generous offer from our favorite local MINI dealer!